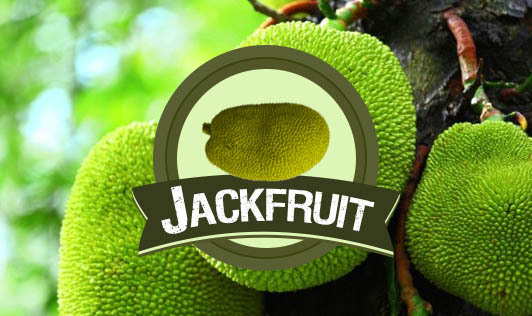 Jackfruit is distinct because of its mega size and strong aroma. Unlike other fruits, cutting, removing the soft interior and eating the jackfruit requires special skill, patience and expertise. Only 30% of the jackfruit is edible and ¾ of this is contributed by moisture. The fruit has little protein and fat, 19.8% carbohydrates and yields 88 calories per 100 grams. It also provides appreciable amounts of carotene, thiamine, riboflavin, niacin, and vitamin C. In addition it has fibre, calcium, iron, potassium and sodium. The fruit contains a large number of seeds, which are also nutritious. Usually seeds are eaten after roasting or steam cooking. Jackfruit can be allowed to ripen at room temperature and is best when eaten fresh. The versatile jackfruit lends itself to several delicious preparations and is universally very well appreciated for its unique taste and nutritive value.